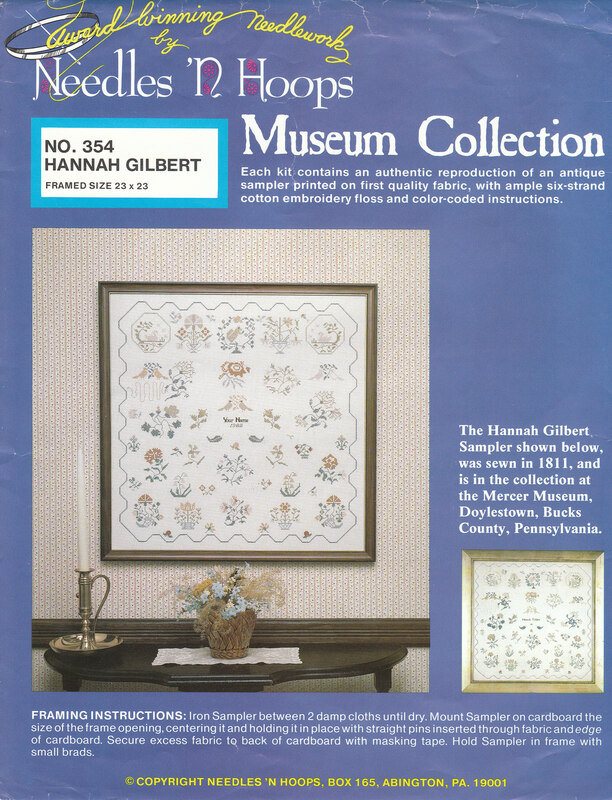 The original sampler was sewn in 1811 by Hannah Gilbert when she was about 12 years old & is in the collection at the Mercer Museum in Doylestown PA. Unfortunately, when we went to the museum we didn’t get to see it because they have so many pieces, not all can be displayed. 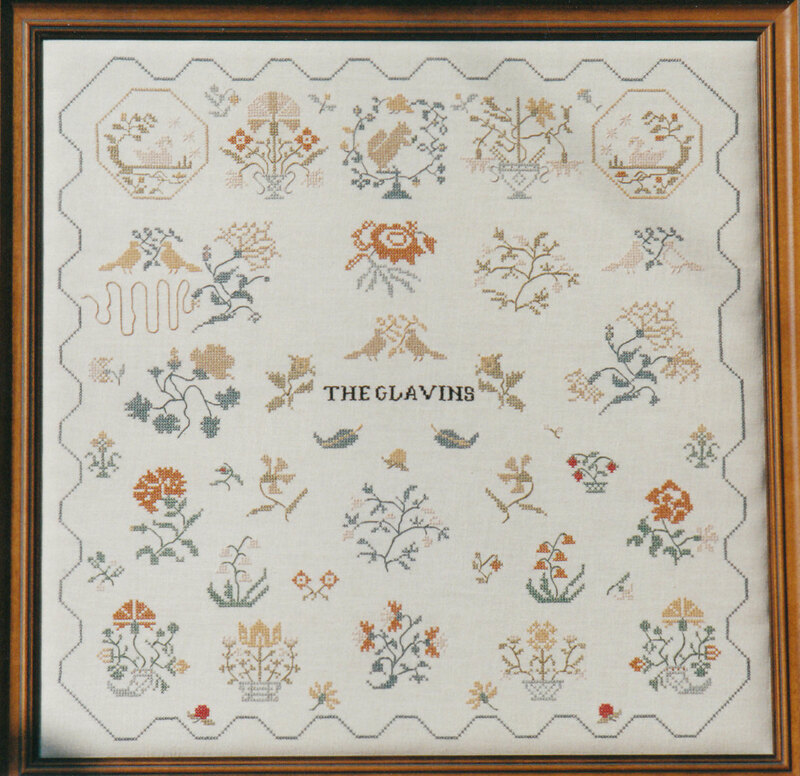 This is a large piece, 23″ x 23″ from Needles ‘N Hoops (Abington, PA) & was a stamped linen using floss. 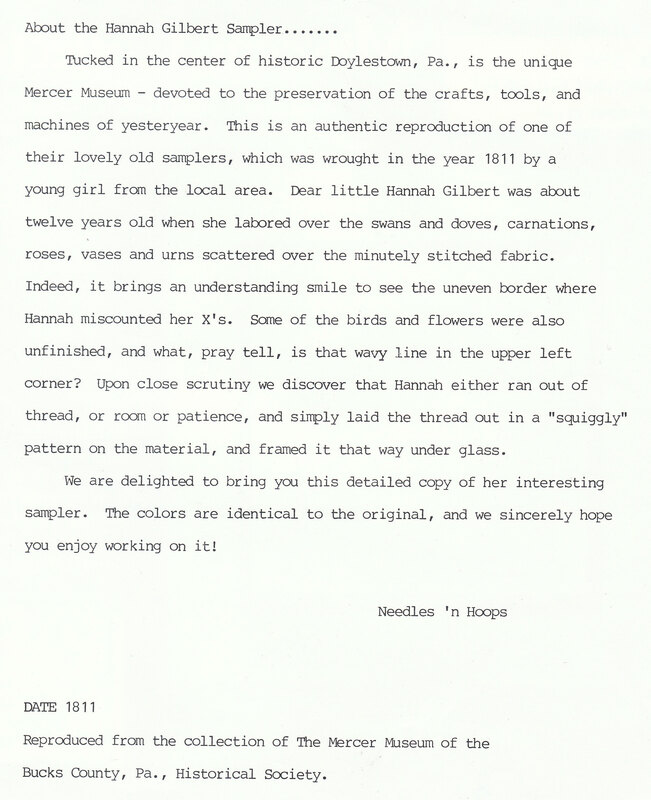 The notes say that the border is uneven where she miscounted – I didn’t notice where that happened & am not going to figure out where it is off. They think that some unfinished areas may be because she either ran out of thread, room, or patience. I can’t even see where it is unfinished!